HOT SAUCE DC SATURDAY MAY 12th ! 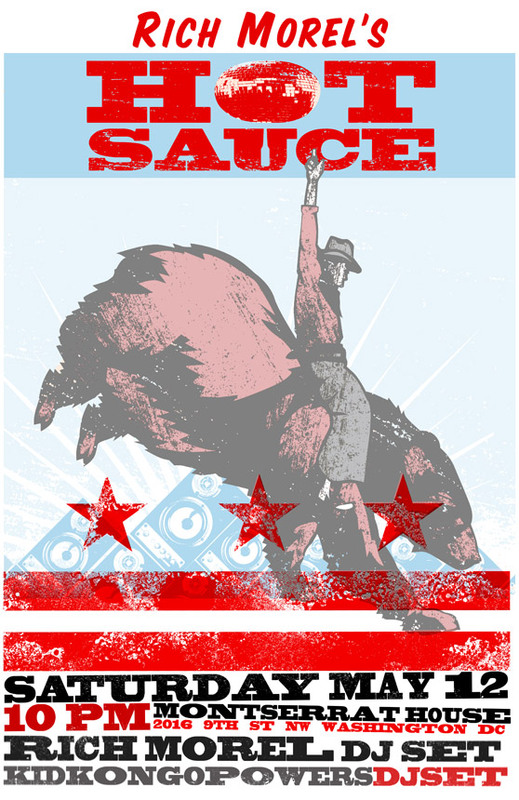 Rich Morel’s Hot Sauce returns to DC Saturday May 12th @ Montserrat House! Kid Congo Powers will spin a 60’s – 70’s Rock and Soul DJ set- followed by Rich Morel’s DJ Set!